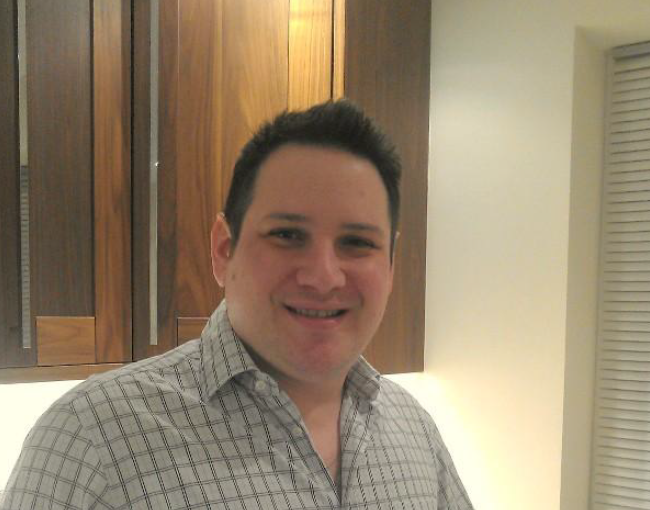 Hi, I’m Lloyd Feldman – I’m passionate about helping people find the best value kitchens. For many years, I worked for the company that supplied most of the kitchen showrooms around the country. Therefore, I have a good understanding of which showrooms sell what kitchen ranges and how the price and quality of those ranges compare to each other & to places like Howdens, Bechmarx, Wickes & Wren. Why’s it so hard to find the best value kitchen? Buying a kitchen can seem like a minefield. With so much information to take in, ensuring you get the best kitchen for your money can seem like an almost impossible task. The buying process is made harder by the chains who’ll try to mislead you into thinking you’re getting a bargain by inflating their prices so they can then knock 50% off. They then try & pressurise you into making a quick decision by telling you their sale ends in a few days. Builders will also tell you they’ll save you a fortune because of the 75% discounts they get off places like Howdens & Benchmarx. Unfortunately, this is the same sales trick the chains use – designed to mislead you into thinking you’re getting a bargain. Howdens & Benchmarx inflate their prices so builders can then tell consumers they get 75% off. In reality, the prices builders quote for a Howdens or Benchmarx kitchen is usually similar to the chains. In fact, sometimes they’ll quote more than the chains, especially if you live in a nice area. Finding the best value kitchen isn’t as simple as just finding the cheapest. kitchens vary in quality & buying the cheapest is usually a false economy. The cheapest kitchens tend to be made from low quality components that simply don’t last. Another mistake is to assume that because units come with a 10 or 15 year gaurantee, they’ll actually last 10 or 15 years. unfortunately this isn’t neccesarily the case. If you do get a problem & try claiming under the gaurantee, you’ll most likely be told the problem is wear & tear which isn’t covered. Few people realise that when you buy a kitchen via a builder from places like Howdens or Benchmarx, you’re effectivley buying a kitchen with no gaurantee. This is beacuse your contract’s with the builder rather than with Howdens or Benchmarx. Therefore, if you do get a problem with the kitchen & try going back to Howdens or Benchmarx, they’ll usually tell you to go back to your builder. However, when you go back to your builder, they’ll usually tell you they’re only responsible for the fitting & you’ll need to go back to Howdens or Benchmarx. This toing and froing usually goes on for some time until consumers eventually give up. We’ll put you in touch with local showrooms whose kitchens cost similar to places like Howdens, Benchmarx, Wickes & Wren, but are higher quality & will last much longer. This also applies when the chain store units are in the sale. Plus, unlike the chains & builders, the showrooms we recommend won’t use sales tricks like inflating their prices so they can then knock 50% off. Instead, they’ll quote you their best price first. 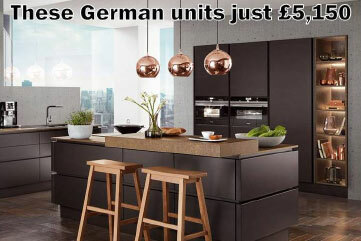 We’ll even find you a Designer German kitchen for a similar price to places like Howdens, Wickes & Wren. Again, this also applies when the chain store units are in the sale. Plus, some of the showrooms even offer 0% finance. Although quality isn’t usually an issue when buying a luxury kitchen, paying over the odds can be. Our service will find you a luxury kitchen with everything you’d expect from a luxury kitchen, except for the luxury price tag. No – using us is just like using a mortgage broker to find the best deal on a mortgage. 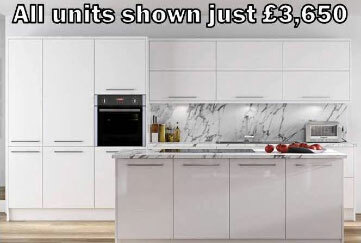 The only difference is, we’ll find you the best deal on a kitchen rather than a mortgage. Like a mortgage broker, our service is FREE to consumers. If you buy a kitchen from a showroom we recommend, the showroom pays us a commission. This cost has no effect on the price you pay as showrooms do not pass it on.